Since 2012, Jolly Giant Pub & Motel in Willow Bunch has been serving home cooked meals and comfortable lodging in Saskatchewan. We promote a family oriented environment--we ask that minors be accompanied by a parent. We offer burgers, steaks, and more. Join us for a super special such as Wednesday Steak Night, Thursday Wing Night, Friday Fresh Fish & Chips and Saturday Baby-Back Ribs night. We’re open for lunch, supper, and drinks, with takeout and catering available. We offer good food, good drinks, good people, and good times, with outdoor seating on the patio. In addition to tasty food, we offer a comfortable place for a weekend getaway. 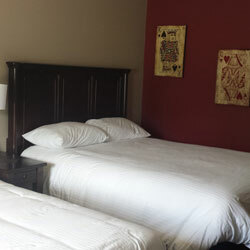 Every room has plush bedding, subtle décor, a flat screen TV, and WiFi. You’ll experience personalized service you can’t get at big chain hotels. 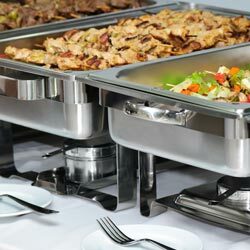 Have a delicious meal and rest comfortably in our motel. 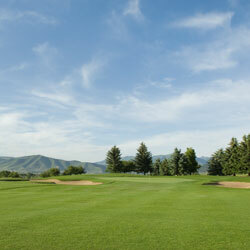 The nearby golf course is second to none, so don’t forget your clubs! Contact us to book a reservation or stop in today to experience the best pub food in Saskatchewan. "Always exceptionally good food, especially when you consider this is super small town Saskatchewan." "Good food, fair prices. No A.C."
"Great cozy little pub. Friendly service, delicious food."